Thames Water Utilities Ltd, known as Thames Water, is the monopoly private utility company responsible for the public water supply and waste water treatment in large parts of Greater London, Luton, the Thames Valley, Surrey, Gloucestershire, Wiltshire, Kent, and some other areas of the United Kingdom. Thames Water is the UK's largest water and wastewater services company, and supplies 2.6 billion litres of drinking water per day, and treats 4.4 billion litres of wastewater per day. 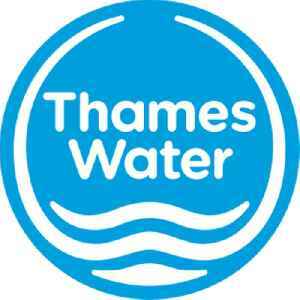 Thames Water's 15 million customers comprise 27% of the UK population.